If you are searching for your Jewish ancestors in cemeteries, be aware of Jewish tradition and law pertaining to burial issues. This may complicate location of graves in some cemeteries. Jewish cemeteries, depending on denomination and tradition, may have separate sections for men and women, thereby precluding husbands and wives to be buried next to each other, some have separate sections for children. Traditional Jewish law forbids cremation, and a non-Jewish spouse or relative may not be buried in a traditional Jewish cemetery. Liberal Jewish cemeteries around the world allow practices not permitted by other denominations, such as Conservative (Masorti) or Orthodox. Historically, the liberal movement (also called Reform in the US or Progressive in other countries) - founded in 19th-century Germany - holds more liberal views as to membership requirements, intermarriage and other issues, including cemetery regulations. In the UK, the Liberal Jewish Community of Prestbury (Gloucestershire) - founded last year - has been granted its own plot of land at Cheltenham Cemetery, in Bouncer's Lane. The established Jewish cemetery is only for Orthodox Jews and cremation is not permitted. According to this article, the "all-inclusive" cemetery means that Jews (and non-Jewish family members) of all denominations can be buried side-by-side in a recognised Jewish burial ground for the first time in Gloucestershire county. It will be dedicated on April 19. "We aim to offer an inclusive brand of Judaism, which includes giving our members a choice when they die. Jews in the county can now be buried next to husbands, wives and family members of other religions in an all-encompassing Jewish cemetery. "It also allows for cremation, something which is not an option for orthodox Jews." The Alliance Cemetery in New Jersey may be getting some help. The Garden State Preservation Trust ratified and sent to the state legislature a recommendation to fund a project to help the Jewish Federation of Cumberland County help preserve the cemetery and synagogue near Vineland. The Alliance Colony was settled by 42 families who fled late 1800s Russian pogroms to start one of the first Jewish agricultural settlements in the US. The federation, which handles Jewish activities in Cumberland and Salem counties, would receive more than $400,000 to restore Moshe Bayuk's brick house. Born in Eastern Europe, Bayuk was a lawyer, Jewish scholar and farmer. He died in 1932. The house is across the steet from the Alliance Synagogue. According to the plan, $50,000 in state funds would make the house the Alliance Heritage Center. The Philadelphia Daily News story reported on the plans. Another phase of the plan - about $4 million - would relocate two abandoned synagogues - Beth Israel, on Garton Road, in Deerfield Township, Cumberland County; and Crown of Israel, on Centerton Road, in Monroeville, Salem County - in front of the Alliance Cemetery. Not everyone connected with the Alliance Synagogue, which still has a small congregation, is happy about the plan. Some call it a land or power grab and wonder why the Federation wants to do this now when they've ignored the place for 50 years; others fear the site will become a theme park. In 1882, the German-Jewish philanthropist Baron Maurice de Hirsch and the Paris-based Alliance Israelite Universelle - for which the colony was named - paved the way for 42 settlers to seek out a quieter, albeit difficult life by tilling the soil instead of fighting it out among the masses in squalid, inner-city tenements. In Pittsgrove Township and its communities - Alliance, Brotmanville, Norma, Six Points - the immigrants found acceptance and friendly neighbors. Many immigrants raised chickens and also worked in cranberry bogs and clothing factories. The small community spread to Vineland with a Jewish population that reached about 12,000 after World War II; today the Jewish population in Salem and Cumberland counties is only 1,100. Younger generations moved away from the land in the late 50s-60s, but their parents stayed. The story quotes US District Judge Stanley S. Brotman, whose grandfather founded the cemetery, said he supports any action to shed light on all the names whose roots were planted in South Jersey, and that the area should be given the historical significance it deserves. A heritage center would be a fitting voice for the dead, said Vineland lawyer Jay Greenblat whose father was a carpenter and butcher in the colony. "It might be centered on Alliance, but it's something for the entire area to take part in," he said. "It's quite a story. I don't think too many people are aware of it." Keeping watch over the generations of Jewish farmers were piles of pebbles, neatly placed atop the grave markers by loved ones who had made the trek down these scenic roads. Alliance Cemetery has a website. Although much of it appears under construction, there are two maps and more is promised. Read the complete story at the link above. There were two recent mentions of Jewish cemeteries in Hong Kong and Harbin. Ed Cohen writes in his blog about Hong Kong's Jewish cemetery. I wish I had seen this while I was in Hong Kong. There are lots of interesting little pockets of Jewish history in Hong Kong that can easily slip past detection. Though it might not always be an immediate association, Judaism has a pretty decent history in Asia and especially Hong Kong. A few roads on the Eastern side of Hong Kong Island (around University of Hong Kong), such as Victor Sassoon Road and Michael Kadoorie Street. Harbin figured in this German blog which referred to the Heidelberg University Harbin Project. The project was carried out by the History Department, Centre for European History and Culture (ZEGK), University of Heidelberg, led by Professor Madeleine Herren in cooperation with the School of Western Studies, Heilongjiang University, guided by Professor Dan Ben-Canaan. During the 1920s Harbin turned into a multiethnic centre in which the Jewish community played a decisive role. The Harbin Jewish Cemetery established in 1903 was located at No.54, Dongda Zhi Street. During the 1920ies it was extended and relocated to Tai’an Street. With its 2,420 m2 it was the largest among alien residents’ cemeteries at that time in Harbin. In 1958, the Chinese authorities decided to move the Jewish Cemetery to the Huang Shan Public Cemetery located at the outskirts of Harbin´s municipal boundaries. From approximate 3000 graves of which 1200 with tombstones, 853 were selected and transferred to an area of 6,532.00 square meters in an eastern suburb about 10 km from the centre of Harbin. During the Cultural Revolution, maintenance of the cemetery ceased: Slabs subsided, tombstones inclined, cracked or damaged, and some of the slabs disappeared. The Jewish community stopped functioning on December 31, 1963, and until that date 23 graves were added to the new location, bringing a total of 876 graves to the site. Maintenance was restarted in 1991, and 450 gravestones could be identified today." Numerous mass graves are located throughout Ukraine and in the eastern territories of the former Soviet Union. Created by Nazi German and local collaborators, the principal objective of the Einsatzgruppen (a mobile killing task force) was the annihilation of Jews, Gypsies and Soviet political commissars. As a result, 1.3-1.5 million Jews were killed between 1941-1943. Two memorials mark the area of the Babi Yar Massacre. The first erected did not specifically mention Jews as victims although a commemorative plaque in Yiddish was added later. This second memorial, in the form of a menorah, was erected by members of the Jewish community to specifically commemorate the Jewish victims who were murdered at Babi Yar. Babi Yar is a ravine in Kiev, Ukraine where 33,771 victims were systematically murdered September 29-30, 1941. The Babi Yar massacre was the largest single mass killing and is considered the largest single massacre in the history of the Holocaust. In the months that followed, thousands more were seized and taken to Babi Yar where they were shot. It is estimated that more than 100,000 people, mostly Jewish civilians, were murdered by the Nazis there during World War II. According to a report published in 2005 by the U.S. Commission for the Preservation of America’s Heritage Abroad, over 550 additional mass gravesites have been identified throughout the eastern territories of the former Soviet Union. (LEFT) Located near Babi Yar, this gravestone in Lukyanofka Jewish Cemetery reads in Hebrew and in Russian: M(alka) Leah Shindelman 1886-1956, Srulig Yosevich 1911-1941, Raisa Yosovna 1917-1941. The photos are Malka and her son Srulig. Malka Leah Karger SHINDELMAN died a natural death and was buried at the Lukyanofka Cemetery in Kiev. Her photo appears on the gravestone, which is not a Jewish custom. During the Soviet era, it was a national tradition, regardless of religious affiliation, for Russians to include a personal photo on gravestones. Flowers are not customarily left upon Jewish graves either, but on Russian Jewish graves, it also remains a common practice to see carnations representing a Soviet-era tradition. Malka survived the war by fleeing from Berdichev, Ukraine on a train to Lake Balkash, Kazakhstan. 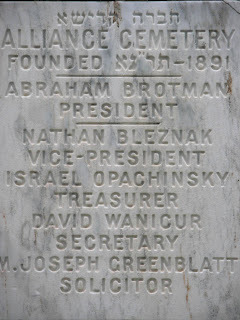 When Bronia Shindelman Brenner erected Malka’s gravestone in 1956, she added a second photo to the stone as well as the names of two of Malka’s adult children. She did this to commemorate her siblings, Ruchel Shindelman AVRUM and Srulig SHINDELMAN, who were Shoah victims. Srulig was last seen alive in the Jewish Prisoner of War (POW) camp adjacent to Babi Yar. One of the only 13 Jewish survivors of Babi Yar and a relative of ours, Yakov KAPER wrote in his memoir - “Thorny Road” - about last seeing Srulig alive. Yakov escaped from the P.O.W. camp; Srulig chose not to accompany him and was never seen again. Ruchel was last known to be alive in the shtetl of Ruzhin, Ukraine in 1941 when the German Wehrmacht occupied the region. 24 years old and pregnant with her first child, it is unknown how she perished, but there is a mass grave in Ruzhin where Jews were killed. She is presumably buried in it. (RIGHT) Mass graves in small rural communities have simple markers or none at all. This one in Lyubar, Ukraine was placed in the early '90s by Jewish relatives of those murdered. A second marker was erected nearby to commemorate partisans. Low metal fences surround both mass graves. Resources for documenting mass grave victims in the former Soviet Union are scarce. These possible sources include Yizkor memorial books, Yad Vashem's Central Database of Shoah Victims' Names and materials at the U.S. Holocaust Memorial Museum (USHMM). The Extraordinary State Commission to Investigate German-Fascist Crimes Committed on Soviet Territory housed at both the USHMM in Washington, DC and at Yad Vashem in Israel, is a compilation of testimonies from residents after the war and lists victim and collaborator names by town. The sequence of local events during the War is often detailed in these files. Pulitzer Prize winning author Richard Rhodes published Masters of Death: The SS-Einsatzgruppen and the Invention of the Holocaust, which includes a detailed account of Einsatzgruppen activities and includes an extensive bibliography of materials in German archives. Other historical books about Babi Yar and the mass graves include Anatoly Kuznetsov’s Babi Yar: A Document in the Form of a Novel, The Black Book by Ilya Ehrenburg and Vasily Grossman, The Holocaust in the Soviet Union by Lujan Dobroszycki and Jeffrey Gurock, and French Catholic priest Father Patrick Desbois’ recent memoir, The Holocaust by Bullets: A Priest's Journey to Uncover the Truth Behind the Murder of 1.5 Million Jews, which uses forensic evidence, eyewitness accounts and archival research to document the murders of Jews in the former Soviet Union. Father Desbois will be the keynote speaker at the 29th IAJGS International Conference on Jewish Genealogy August 2-7, 2009 in Philadelphia, PA. Photographer Vincent de Groote only uses black-and-white film, and his evocative photos of the abandoned cemetery at Hegenheim in Alsace demonstrates the site's desolation. 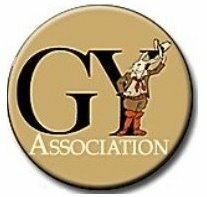 The Historical Society of Pennsylvania runs a “Question of the Week” quiz on its website, created by technical services archivist Cary Majewicz. I knew the answer because my first job in Jewish education was as a raw teacher in the Philadelphia Hebrew Sunday School Society founded by Rebecca Gratz, the role model for this novel! A version of the answer also appeared on March 1, 2009 in the Philadelphia Inquirer, in a section entitled “Memory Stream,” provided by the Historical Society. 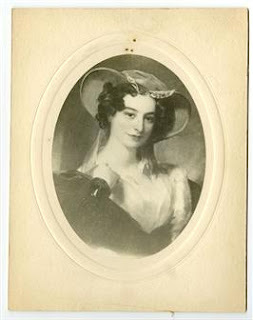 In the early 1800s, Rebecca Gratz was a beautiful, cultured woman in Philadelphia’s elite class. She is rumored to have been the inspiration for the Jewish heroine in Sir Water Scott’s novel "Ivanhoe." But Gratz was much more than a pretty face. She was a successful educator and philanthropist who provided relief to Philadelphia’s poor women and children and furthered the moral and religious education of Philadelphia’s Jewish community. Gratz was born in Lancaster, Pennsylvania, on March 4, 1781, and her family later moved to Philadelphia. She began her charitable work at age 20. In 1801, along with her sisters and several other women, she founded the Female Association for the Relief of Women and Children in Reduced Circumstances, a nonsectarian organization designed to assist formerly affluent women and their families who had fallen on hard times. 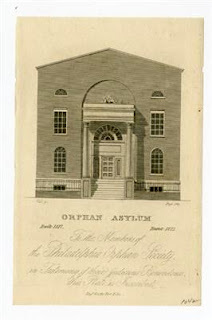 She expanded her work with poor women and children by establishing the Philadelphia Orphans Society (1815) and the Female Hebrew Benevolent Society (1819). She experimented with Jewish education in 1818 by creating a small religious school for her siblings and their children; this trial provided the basis for the Hebrew Sunday School she would create some 20 years later. Gratz never married, and instead devoted her life to charitable work. She died in 1869 and is buried in Philadelphia’s Mikveh Israel Cemetery. Attendees of the 29th IAJGS International Conference on Jewish Genealogy in Philadelphia, August 2-7, will be able to visit her grave and those of other notable Jewish Philadelphians at the nearby Mikveh Israel Cemetery.